Head of Colour Tone, Tony Gaukroger, has spoken out against the intransigence of supermarkets to use trays with NIR compatible pigments, after WRAP declared black plastic unrecyclable in March. The masterbatch manufacturer has highlighted the reported 1.3 billion black food trays most commonly used for ready meals that are sent to landfill each year have the same pigment as some blue, grey, brown and many more dark coloured food packaging items, which means the problem is far more widespread than previously reported. Bristol City council for example, already advises its residences to treat black, grey and brown plastics as ‘rubbish’. At present black and dark coloured trays feature a relatively cheap carbon black pigment, which cannot be detected by the existing NIR sorting systems used widely in plastics recycling as it reflects little or no NIR radiation. Tony Gaukroger, Director, Colour Tone, said: “The supermarkets must admit that black food trays represent just the ‘tip of the iceberg’, there are many more types of aesthetically pleasing coloured trays and cartons appearing each year that present a growing landfill crisis from brown coffee pods to blue fish trays. “As the dark plastic tray debate continues consumers’ plastics recycling efforts are rewarded by simply being turned into rubbish. The supermarkets are still refusing to act despite awareness of a novel pigment that if adopted can help solve this problem. Instead they still question who should pay? Colour Tone had been working as part of a consortium on a project commissioned by WRAP, ‘Development of NIR Detectable Black Plastic Packaging’, to help develop a near infrared or detectable pigment. In materials validation trials, it has been proven conclusively that this novel pigment will ensure that black and the many dark coloured trays and tubs can be easily detectable in the mixed plastics waste stream. 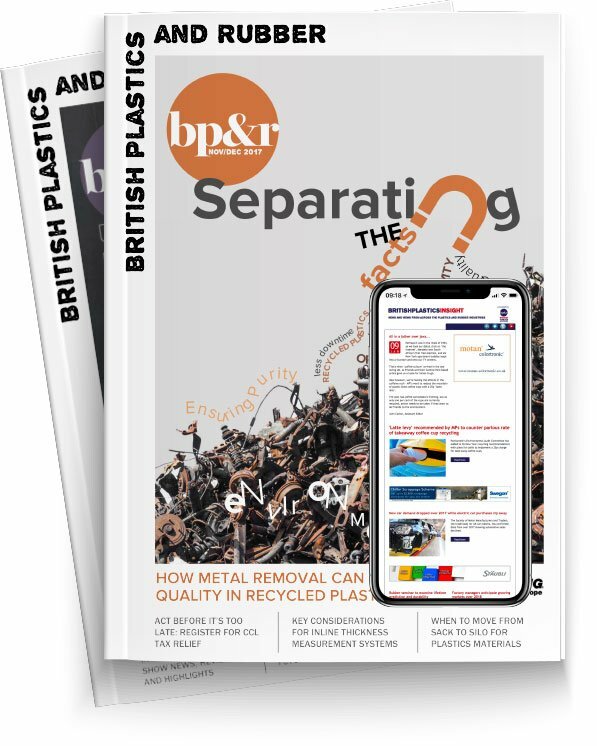 The result is that this high value polymer material can be effectively sorted to create a new resource of benefit to the viability of mixed plastic recycling itself and by helping to reduce landfill. To reduce the volume of black waste found in sorters and the ‘deadlock’ with the supermarkets, WRAP published new guidance on March 9th to for council’s to lodge black plastic among the items considered now as ‘rubbish’, for the first time in years, with the reason: ‘sorting equipment cannot detect the colour black and therefore it is not recycled’. Tony Gaukroger continues: “This guidance flies in the face of recent advances made in detectable pigment technology and growing consumer anger that the black plastics they have recycled for many years have been landfilled. This is just as the government recently reported that recycling rates for waste have dropped for the first time since 2010 to 44.3 per cent. Gaukroger added: “If this waste cannot be automatically sorted in all its forms, including black and dark coloured packaging then the EU’s recycling targets will simply not be reached. This would put local authorities at risk of penalties which will no doubt hit the ratepayer with increased council tax hikes.